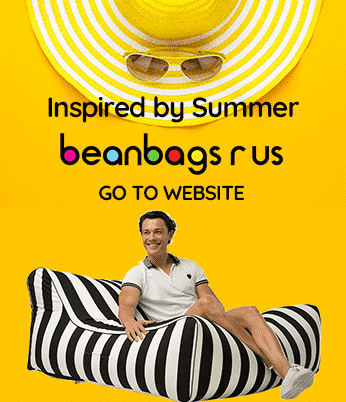 Bean Bags R Us NewsDog BedsWhat Dog Beds Are Best for My Dog? What Dog Beds Are Best for My Dog? While it may seem that dogs can simply lie down and sleep wherever and whenever they feel like it, the truth of the matter is that most dogs are very particular about their sleeping habits. If given a choice, they will sleep in a spot where they are most comfortable. Also, dogs require a good night’s sleep much like people do to perform their best and lead healthy lives. Therefore deciding on a dog bed should not only be a choice of style but one of comfort and ergonomics. In addition to blankets, standard dog beds and your bed, a large dog bed is also a viable option. Like all mammals, dogs require sleep, and the basics of their sleep patterns are not dissimilar to those of people except for the fact that they can sleep and nap for up to 14 hours per day. Of course, the amount of sleep they actually require depends upon your dog’s breed, age, and unique personality. Generally, larger dogs require more sleep than small dogs do. Saint Bernards, English mastiffs and Newfoundlands may need to sleep up to 18 hours per day while Yorkshire terriers and Chihuahuas may only need to sleep for as little as 10 hours each day. Also, dogs that are trained to perform some work or service, such as farm dogs, rescue dogs, and police dogs, tend to sleep less than pets. Some dogs with nothing better to do will nap or lightly sleep during the day simply out of boredom. While the old adage to “let sleeping dogs lie” is usually meant as a warning that they may suddenly snap at you upon waking, it is solid advice when dealing with any dog because they need their sleep to remain healthy. According to experts in canine behaviour, dogs require uninterrupted REM sleep to alleviate stress. During the day, stress hormones, such as cortisone and adrenaline, are released as they enter various fight-or-flight scenarios. During REM sleep, dogs naturally process and eliminate these hormones from their bodies. If a dog does not get enough sleep, stress hormones will stay in its bloodstream and continue to affect its mood and behaviour. When excess levels of adrenaline and cortisone remain in the circulatory system for too long, a dog will find it more difficult to control its natural impulses and may be prone to reacting in an aggressive manner. This means that the dog may overreact at times and that less provoking is need to trigger a response. In addition to lowering stress hormones, sleep is also required for the pineal gland to manufacture and release melatonin, which is an essential neurohormone responsible for regulating a dog’s biological clock. 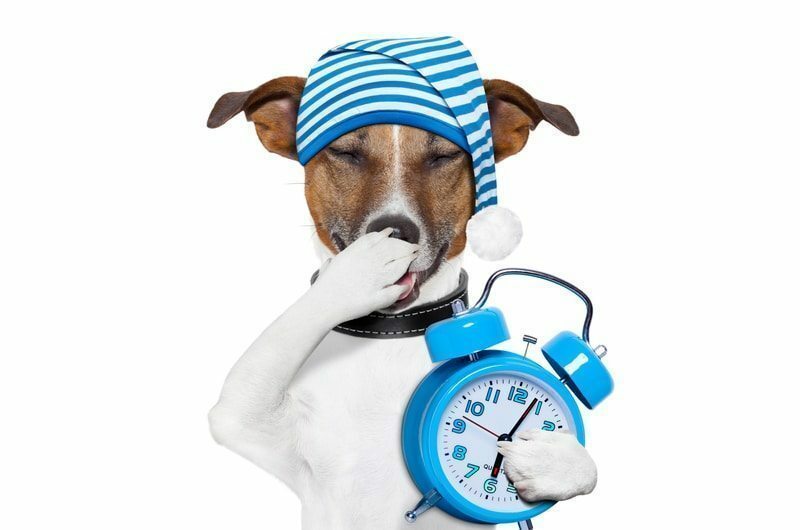 While having a regular sleep-wake cycle is of primary importance, melatonin also plays a role in strengthening your dog’s immune system and protecting all of the cells in its body. When a dog sleeps, its body and brain go through stages that are similar to the stages that people go through when they sleep. Shortly after drifting into sleep, brain activity begins to slow, and sleep is very light. The body usually remains extremely still; breathing is light, and the senses disconnect from the environment. Blood pressure also decreases at this time, and the heart beats steadily. If the dog continues to sleep without awakening, it will enter the rapid eye movement (REM) stage. REM sleep is the most important stage because it is at this time when the body works to restore energy and process the excess hormones that have accumulated throughout the day. In this stage, the heart begins to beat more quickly, and the eyes may roll or make other movements under closed eyelids. The dog may also start to move its legs and paws and make whining or whimpering sounds. Also, breathing quickens and may become irregular. Although puppies spend more time in this phase, adult dogs spend about 12 percent of their sleep time in REM. • Comfort – The bed must be comfortable but still be able to provide adequate support for joints and bones. • Insulation – A good bed insulates your dog from the floor in both hot weather and cold. • Security – A dog bed should give your pet a sense of privacy and security. • Safety – The bed helps keep your dog safe from the hazards of jumping on and off tall furniture. The type of bed that best meets the above criteria is a bean bag bed. Bean bags are not only comfortable but also conform to the size and shape of any dog to give it the highest level of ergonomic support. Bean bag beds are warm in the winter and cool in the summer, and they mimic how dogs sleep in a natural habitat. However, the two greatest benefits of bean bags are that they are water resistant and easy to clean. No other bed will last longer or allow your dog to sleep better. When considering a bean bag bed for your beloved pet, the Ultimate Dog Bed available only from Bean Bags R Us is the perfect product. This bed is made from high-strength 1680D polyester and heavy-duty nylon stitching for unmatched durability, and the top is lined with soft faux fur that your dog is sure to love. Because this luxurious bed is water resistant and easy to clean, it can be used indoors or outdoors, and if you are worried about the faux fur cover, it can be removed for outside use. The Ultimate Dog Bed provides support evenly across your pet’s entire body, and a built-in vent allows air to move through the bag to keep the interior fresh. No other dog bed in the world is quite like this one, and it is now available in two sizes. This entry was posted in Dog Beds.